Nike and Adidas have released new cleats to celebrate two of their biggest stars, Neymar Jr and Messi. Adidas have created a new pair of cleats to celebrate Messi’s 27th birthday. This special edition shoe will only be manufactured in limited edition. 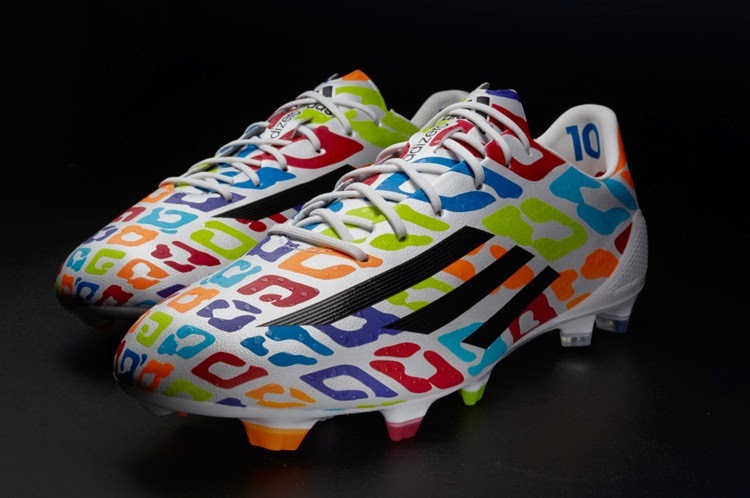 Only 27 pairs will be made, Messi will be wearing a pair for the reminder of the World Cup. Minutes after Adidas released the special edition footwear in celebration of Lionel Messi’s birthday, Nike unveiled their own special edition footwear for Neymar. 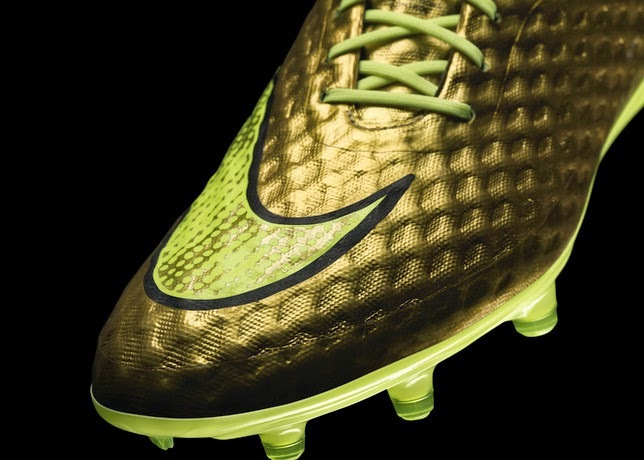 Neymar’s new cleats are a different version of the Nike Hypervenom. 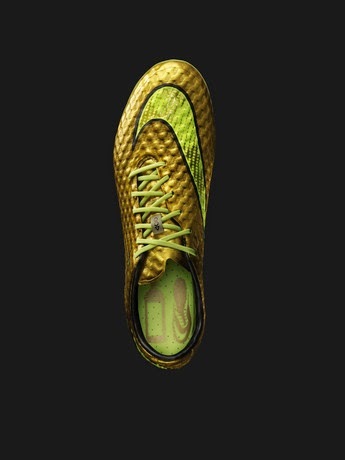 Apparently the inspiration for these new cleats came from Neymar himself. He used to spray paint his cleats as a kid. He wanted them to look like they were made of gold. 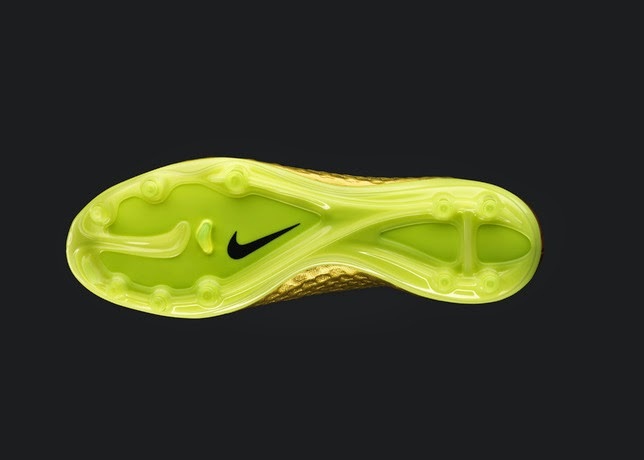 According to Nike designer the challenge was to get the color just right, so it looks like it was spray painted. 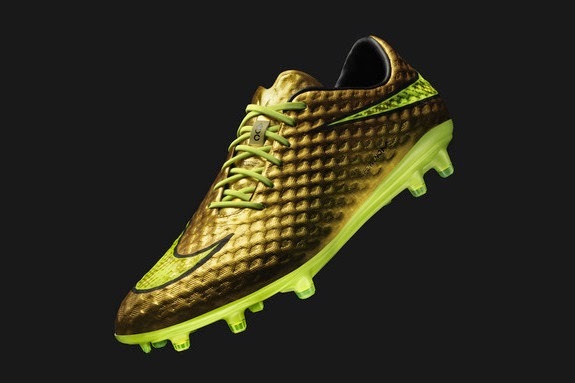 Neymar will be wearing these new cleats for the rest of the tournament. Nice pair of boots you've got there. Did you ferret it out by yourself or did you come to hear of this from people? You know what, I've also got a list of Top rated goalkeeper gloves. Check it out if it interests you.